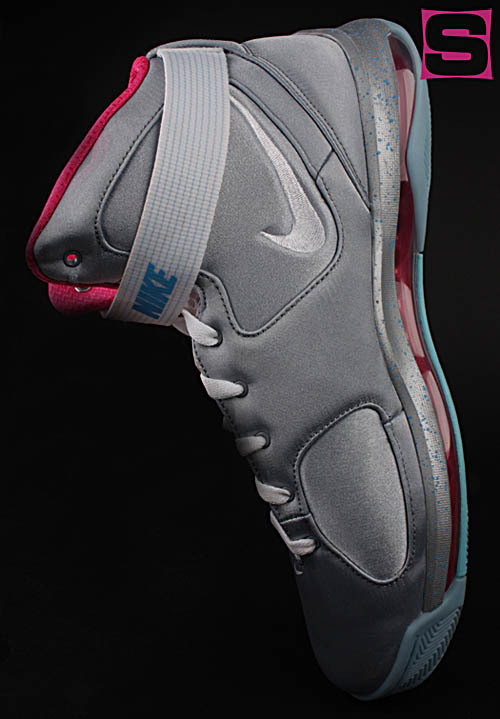 Nike Basketball is back at it once again, as they’ll be dropping yet another Air Mag inspired ‘McFly’ edition of one of their latest flagship hoops shoes to hit the scene. 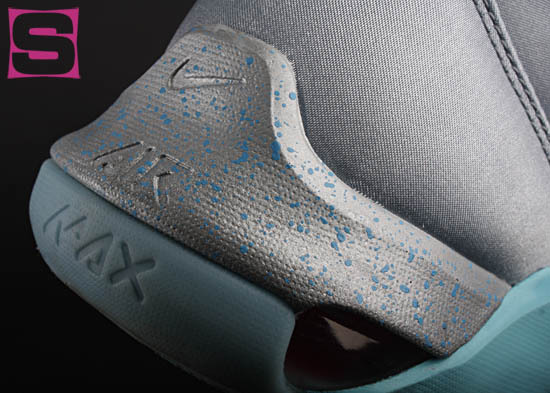 Last year, of course, the McFly Hyperdunk kicked off the summer as for the first time we saw a shoe take on the classic hits of jetstream grey and pale blue, and here we have a look at the McFly Hypermax. 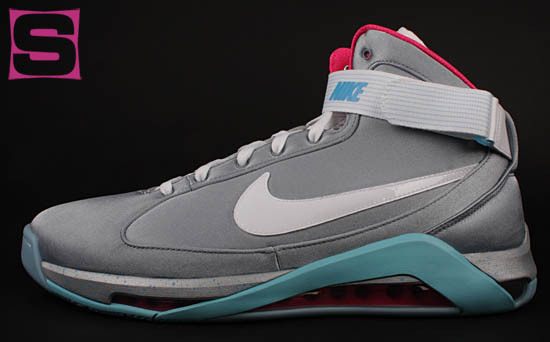 Unlike the Hyperdunk, which carried over the same upper materials found in the shoe’s extensive assortment of general release versions that hit retail, the McFly Hypermax features a grey satin upper and goes sans Flywire. 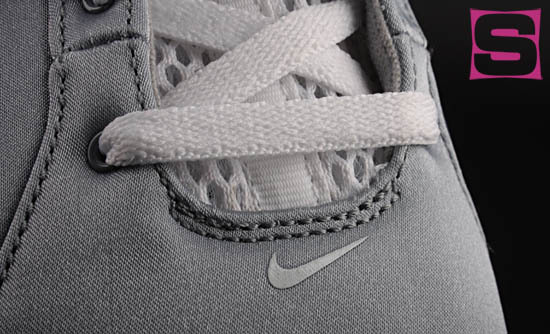 (You weren’t planning on hoopin’ in these — were you?) 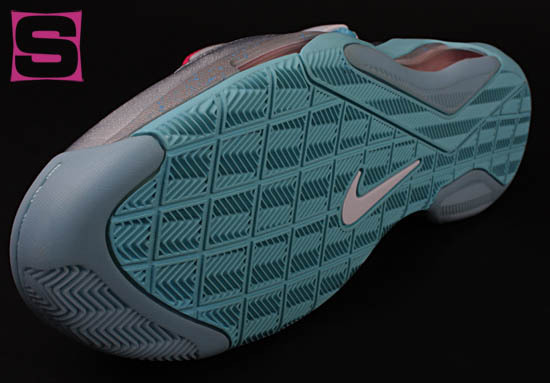 The swoosh is a tad larger than on the GR pairs as well, and the iconic pale blue color can be found along the midsole support wrap, outsole and accenting on the upper. 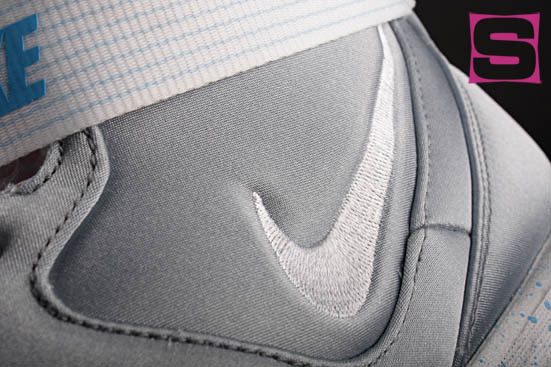 Details are never-ending here, as the insole graphics, tongue font, removeable strap and splatter midsole all tie back into the legend that is the Air Mag. 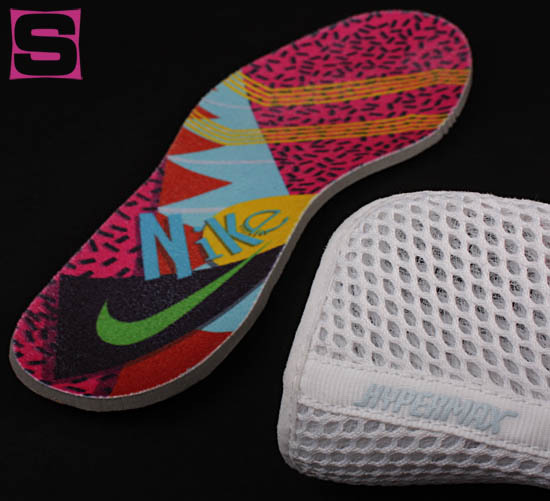 Expect the McFly Hypermax to drop later this summer, and while a release date isn’t set just yet, we’ll be sure to keep you posted on price and availability. 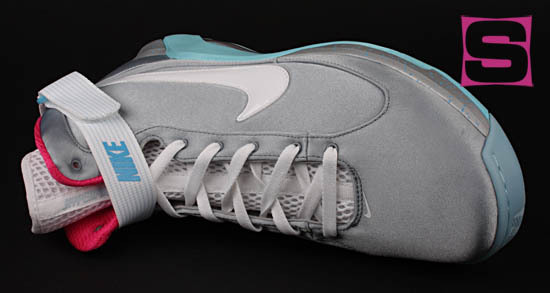 It’s likely these will be made available in the same quantities as we saw last year during the Hyperdunk drop.